I am fortunate enough to manage a learning centre at a secondary Catholic school. In 2017 it was decided that our existing, single storey library would be demolished and in its place would be a new two storey building; a hub of information with access to librarians and their services and the IT department as well. Located in the heart of the school, the new library and information services centre was to serve teachers, students and parents. The Walsh Learning Centre (WLC) was named for Father Walsh, an active member of the Kolbe community for many years. Father Walsh passed away in 2009, but had he seen the new 2018 building built in his honour he would certainly have been very proud. The Library and IT services were merged, all non-fiction books were taken off the library shelves making way for fiction books, and text books were moved to the relevant learning area offices around the college. IT staff were now considered to be in the service business, providing support and training to the staff and students; new innovative projects were encouraged, and in-house IT experts hold frequent professional learning sessions. Kolbe saw the new facility as an opportunity to deploy the methods of David Thornburg and to support the thinking of Stephen Heppell. With a blank canvas before them, Kolbe took inspiration from visits to local school libraries and the magnificent City of Perth Library. The ground floor of the new building accommodates the WLC and seven new classrooms, while the first floor has become the staff room. The learning centre is roughly twice the size of its predecessor. At the centre of the WLC is a circular sofa that mimics the contours of the building. It presents itself as the heart of the building. It feels natural to be drawn to this space, it feels comfortable and safe, but above all it feels inspiring. We created this by using the Bloom seating module from Stylecraft. 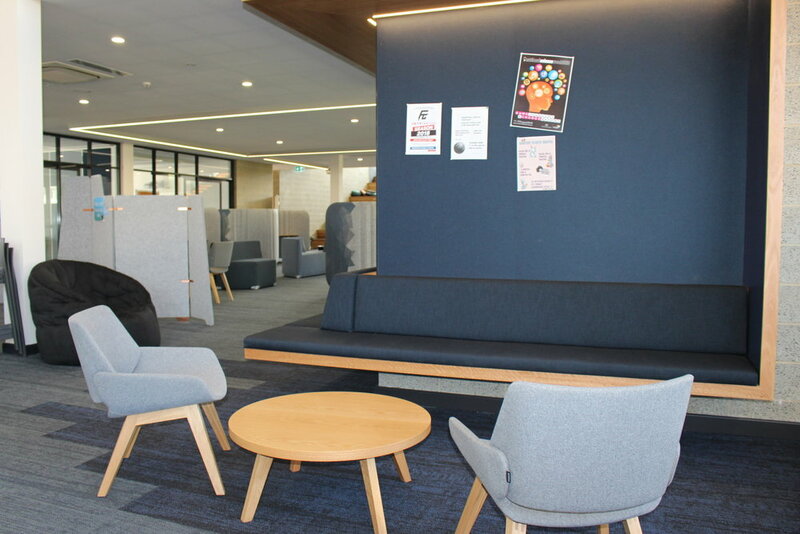 A large pendant light hangs above, which personalises the space, and we have provided modern coffee tables that provide students somewhere to rest their computers. This feature represents one of our many ‘camp fire’ spaces. In practice we see that all students and staff are drawn to this area, it is large enough to accommodate a class group, yet personal enough for individuals to work alone. In preparation for the new building, Kolbe surveyed its students and overwhelmingly we were asked to provide private and quiet areas for individual study and the school went with the Cloud Avenue Pods from Zenith Interiors. These pods wrap around the student providing a silent space where sound is absorbed. The pods have been placed behind two privacy screens from Woven Image, that function as dividers between our collaborative space and individual space. The collaborative areas feature tall tables that encourage transient staff and students to congregate. 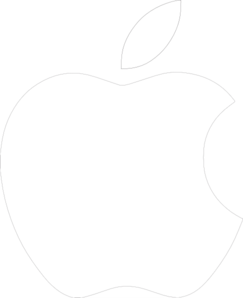 Flat panel TVs have been installed where possible and Apple TVs provide the option for wireless projection. The building design includes alcoves for students to retreat to. Options for power and USB ports are provided where possible and comfortable individual seating is also made available. Kolbe runs Makerspace activities and digital training sessions throughout the term, so needed a table to accommodate the many different items/activities and students. The Loop Table from Zenith Interiors provides the height and is durable enough to suit their needs. It also provides a handy groove in the table top that allows tablet computers to be stood up. One of the staff’s favourite items of furniture placed into the collaboration section is the picnic style table and benches from Relax House. The quality of the hard wood is outstanding, and the benches are so inviting that students rush to slide along the bench tops and unpack their work onto the large and robust table top. The school approached the classrooms with a modern twist as well. Design Farm provide a range of furniture called Steel Case. The Node chairs allow each student to store personal items underneath their seats, retract and extend a table, and they are on wheels. This mobility encourages the teacher to create different sections to the classroom space. It also empowers students to retreat to a quiet part of the room if necessary. The Steelcase Verb desks include a hand-held white board, that can be used as a divider or hung from the side hook beneath the desk. All of these options encourage teachers to experiment with different room setups and pedagogy. Towards the back of our Learning Centre is a beautiful tiered forum, that can comfortably seat 200. The forum has a projector and rear mounted flat panel TV so all can easily see the presentation. Options for wireless mics have also been included. The second floor of the WLC houses the new staff room. This mezzanine floor looks down upon the Learning Centre, and also allows staff to see across the open grass areas of the College from the balconies. The staff room is one of the most important places in the school, it should be welcoming and comfortable, staff should be able to retreat there and have their own ‘cave’ spaces if necessary. It is in the staff room where the community of a school can thrive. The school also created an additional private lounge room that has comfortable sofas, chairs and a beautiful bookshelf with dozens of interesting books and magazines. This space has proven very popular for ad-hoc meetings and for those that need some quiet reflection time. The build took about 18 months and students had to use ad-hoc classroom spaces, and share their school grounds with dozens of builders, dust and countless skips. However, this project has proven to be an incredible blessing for the Kolbe community. From the offset Kolbe factored in a large sum of money for the furnishings, engaged architects, and an interior designer, who worked with the school from the beginning to be sure that the classrooms, and open spaces would reflect our modern take on learning. Some of the teaching staff still enter the rooms and are not sure what to make of the different height desks, hand-held white boards, or chairs on wheels and comfy bean bags. Although there are white boards on the classroom walls, there is little else that defines the ‘front’ of the room. The teacher desks are small, height adjustable pedestals that move on wheels. Therefore, we continue to challenge our staff to experiment with their rooms, and their teaching practice, to get the most from these flexible spaces.